Morrison Forestry & Real Estate Company, Inc. offers a complete range of forest management services for both large and small landowners. Landowner goals often differ as much as the forests that grow on various properties. MFRE helps landowners to identify these different goals for their property, and then provides recommendations on how to achieve these goals (both long and short-term). MFRE frequently creates both forestry and wildlife management plans for landowners. Such plans provide the recommendations to achieve objectives, and may contain valuable information from harvest schedules to financial projections. MFRE also offers reforestation and other services that help landowners manage their investments. • Forestry and wildlife management plans. • Growth and yield studies. • Comprehensive property management to include bookkeeping and budgeting. • Recommendations for most productive and cost effective methods. • Contracting and supervision of site preparation and planting. • Procurement of top quality seedlings. • All handling, cold storage, and delivery of seedlings to planting sites. • Survival inspections, growth inspections and reports following the first growing season. 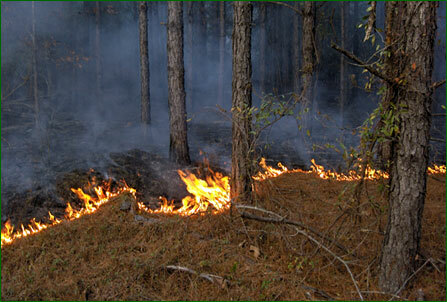 • Fire line plowing and maintenance. • Herbicide and fertilizer applications. • Road construction, pond construction and drainage projects.